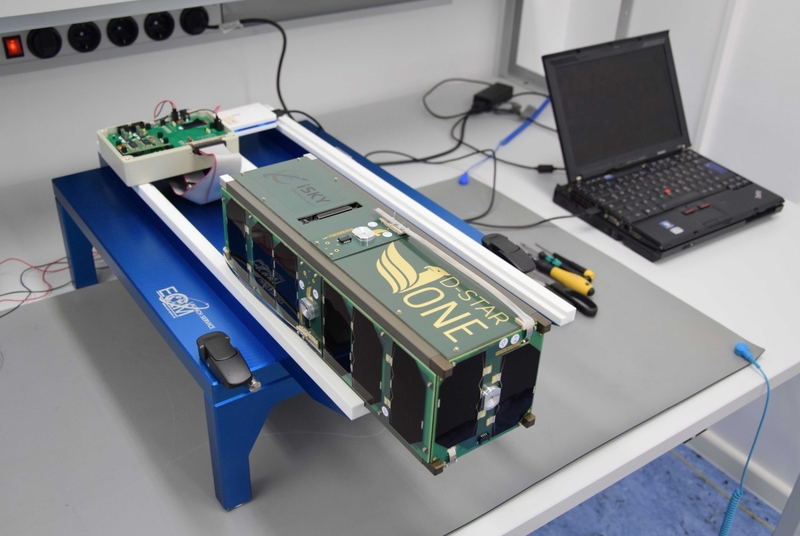 German Orbital Systems and iSky Technology companies have completed the final tests of the D-Star One small satellite’s systems successfully and arranged its shipment to the launch site. The tests were performed to verify radio uplink and downlink, D-Star modules, and antenna deployment mechanism. After testing, the satellite was integrated into the flight CubeSat dispenser. D-Star One will be launched on November 28, 2017, from Vostochny launch site jointly with the Meteor-M №2-1 meteorological mission of the Russian State Space Corporation ROSCOSMOS. D-Star One will be the first private LEO communication CubeSat as well as the first German commercial CubeSat. The satellite was designed and built in cooperation with iSky Technology, a commercial partner from the Czech Republic. Among other payloads, D-Star One will host four communication modules with D-Star capability, two of which will be fully dedicated to the amateur radio community. Subsequent satellites will have enhanced capabilities and communication protocols to address larger potential customer groups, paving the way to a commercially sustainable CubeSat constellation. German Orbital Systems is a Berlin-based space company. It was founded in 2014 by the former scientific staff of the Technical University of Berlin and is the first German company focused on the CubeSat market. The product portfolio includes subsystems and turn-key satellite missions, which consist of the ground-, space-, and launch segments. Since 2016, GOS has been responsible for the separation sequence as a part of ECM Space Technologies GmbH CubeSat dispensers. iSky Technology is a Czech space company established in 2016. The company is actively developing in the segment of strategic mission planning, space market analysis, and turn-key space solutions. iSky Technology develops conceptual solutions for businesses in the space industry: from mission design to launch, software development, and satellite operation on orbit. iSky Technology specializes in smallsat constellation projects and operates successfully in the North American, European, and Russian markets.